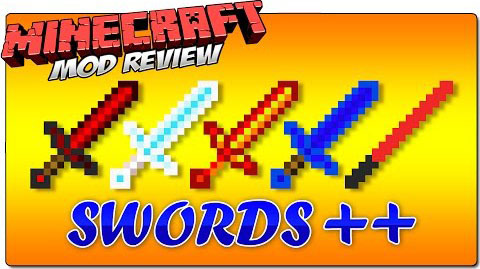 Swords++ Mod 1.8 by Blackbeltgeek installs to Minecraft a bunch of new swords (over 30) and also adds in it’s own entity. Got two coal and a stick, make a coal sword. Two nether stars, a Wither’s Bane that does 1,000,000 attack damage. It creates the swordsman, a pigman-like mob that wanders around many biomes, wielding a coal sword.